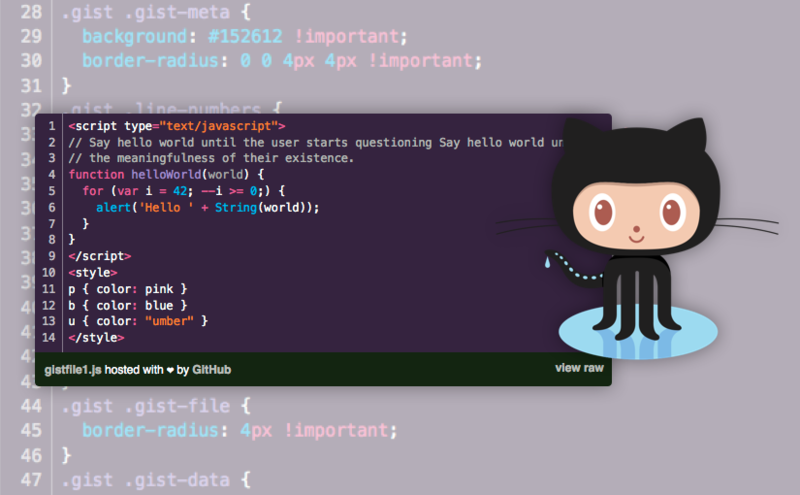 With the rollout of GitHub Pages, why not show the world that you collaborate on GitHub? I’ve prepared these ribbons that you can overlay on your site by copying and pasting the appropriate snippet into your site’s HTML. Make sure to change the URL in the link to contain your username instead of “you”. Proudly powered by WordPress Copyright © 2007-2015 p15.jp All Rights Reserved.